result is bigger, too. I will do this again whenever the name this size will fit on the project. will know where to look. pouch looked much better but gave the first one to DB, as well. available for sale with my alphabets. 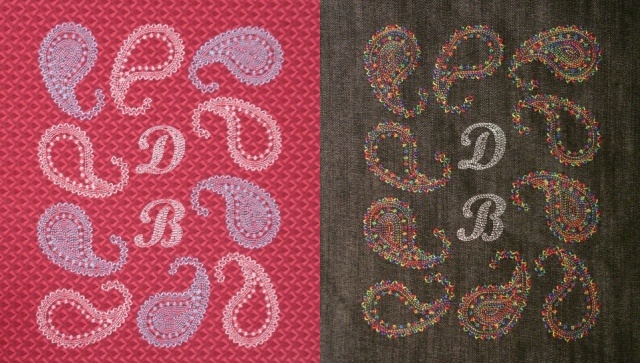 All the paisley designs can be found here. I am still waiting to see your own creations using my alphabets and/or project instructions. goofs that probably drive you crazy, and we have too many goofs of our own to worry about yours! 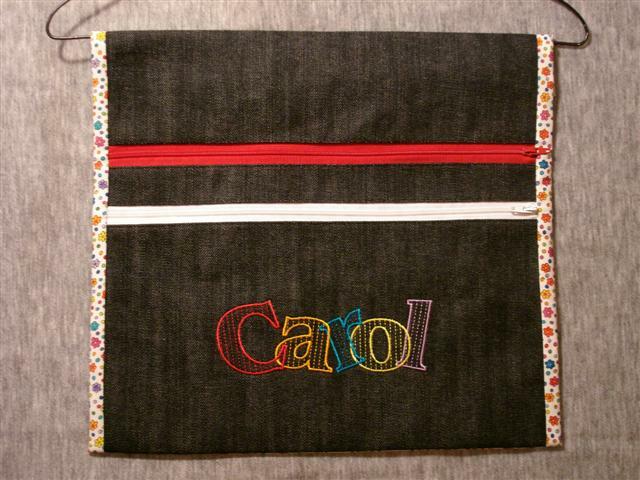 Love your zipper caddy and those alphabets. 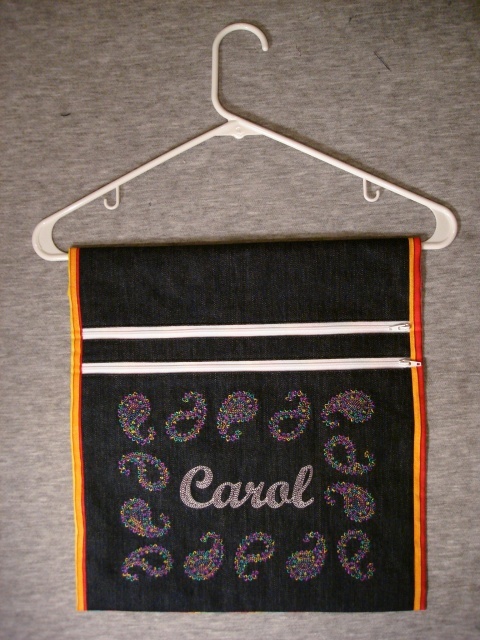 I hope you will make a zipper caddy and post a picture in the Fancy Jumbles Gallery. I just made the caddy for my daughter who is going to be traveling. It turned out *so* cute and I thank you so much for posting the directions. Thank you for telling me about your caddy. I'm glad you are pleased with how it came out. I'd love for you to post a picture of it in the Fancy Jumbles photo gallery. See the "Show Me Your Jumbles" blog for details. You need not have used my alphabets for your design - anything is fine.